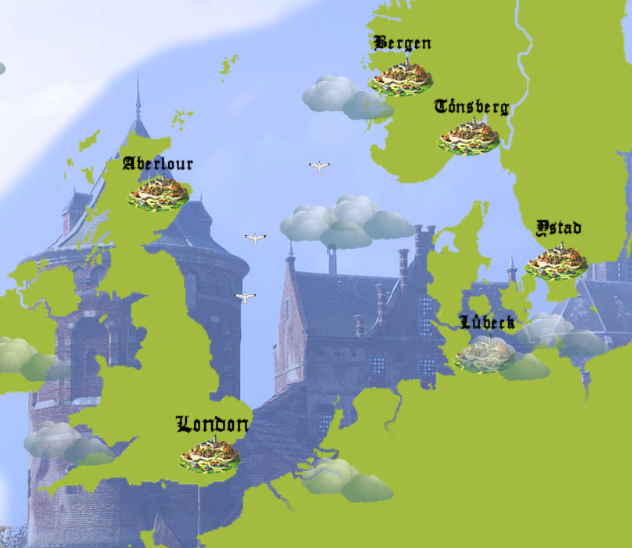 Company of Merchant Adventurers is a trading game based on the C64 game Hanse from the 80ies. 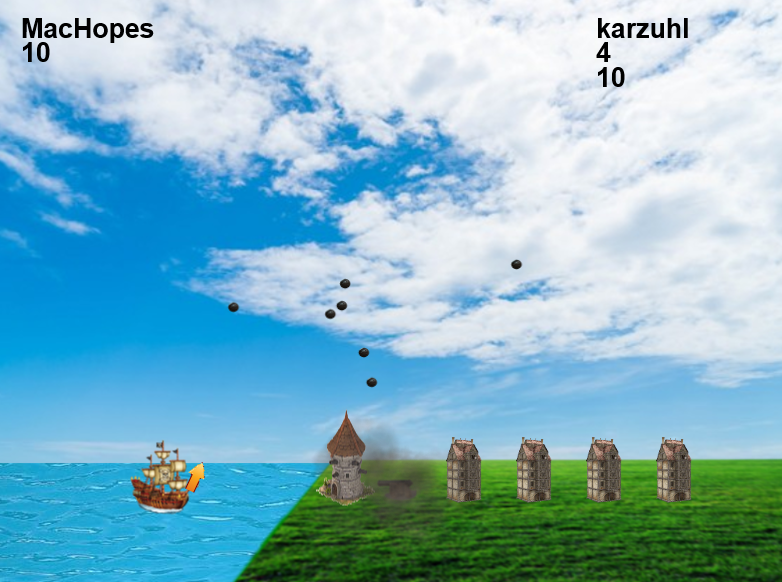 It's a browser game completely in HTML5/JS and using Phaser for some game elements like the Map or the mini-games. 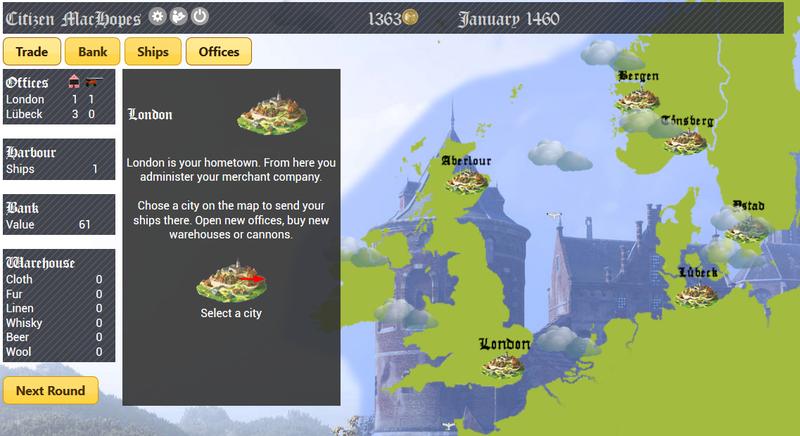 It's got a bit of multiplayer as you can see other merchants in towns and buy shares or attack their ships and harbours. The goal of the game is to claim the title of Mayor in London. This can only be done by wisely trading the goods returned by your merchant fleet. The game is not commercial and I've developed it as a hobby game programmer. It's in english and german language (settings at the top). 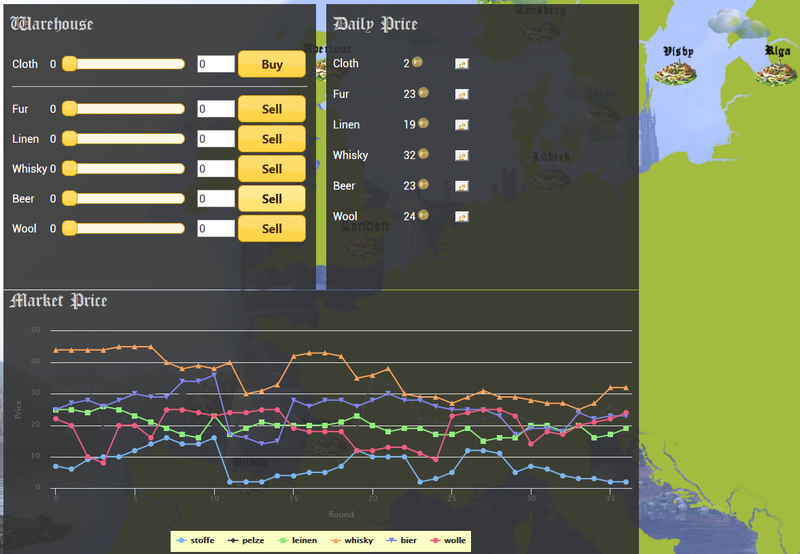 If you like trading games - turn based trading strategy, and maybe enjoyed the game Hanse - you will enjoy a quick round of my Merchant Adventurers - give it a go and let me know what you think - trade's up! A small update making it smoother to play. No more email registration, just unique user names. Check out the highscores, can you beat the best merchants? Removed E-Mail login - now you can login with unique user name and password. Added english and german tutorial - accessable in top bar during game. Shares of other companies can only be bought after players have finished their first turn. Ships repairs are now done via slider. 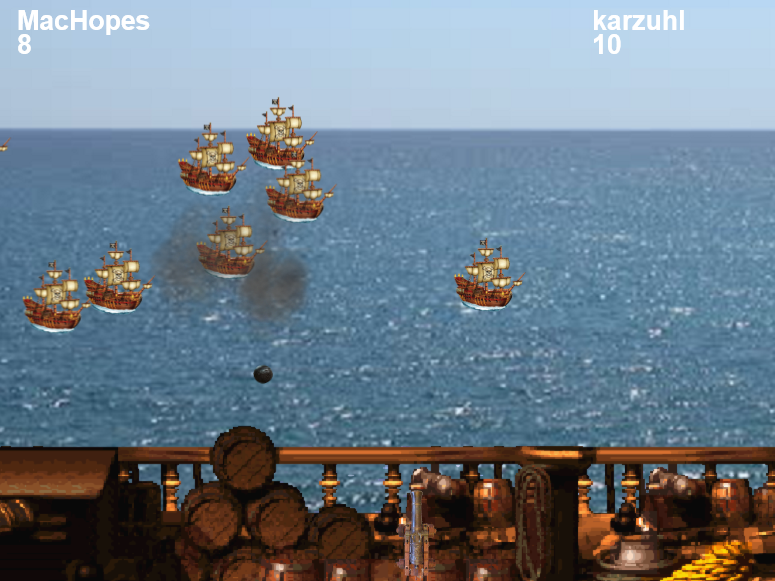 Sending ships is now done via slider. Attacking other merchants is only possible after they have reached level 2. Map animation added for sending ships and other additional animations.